I would strongly recommend buying one of those lightweight suitcases which weigh around 2kg. 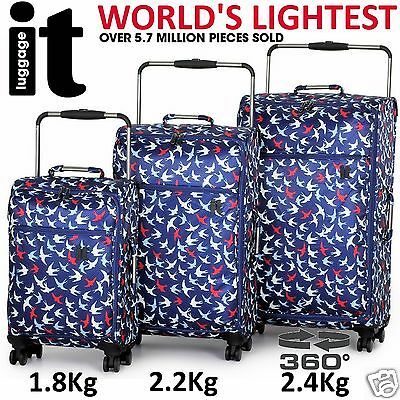 Regular suitcases can weigh up to 6kg – now that’s a big percentage if your allowance is only 15kg! Maybe you’ve been so busy that you haven’t had time to even book a holiday yet. If this is the case, you certainly deserve one! So now is the time to get yourself some down time, and the best way to do it is through a reputable travel company. If you’re ready to have a holiday but don’t have time to book one, then I would highly recommend My Travel Genie (us mythical creatures must stick together!) This is a fabulous small independent business that will get you the holiday you deserve at a great price, as well as a truly bespoke and personal service. And of course, if you need help while you’re on holiday, or to help you get organised before you go, give The Time Fairy a call. I expect that you might have some packing tips to share with other readers, so please comment below. Also, if you’d like a blog post on things to do and remember before you go away, just ask. If you ask, I will deliver! If you’re heading off soon, have a wonderful holiday! Fantastic tips! I am going to France for 2 weeks. I am so glad that I found your post on time. I am going to follow all your advices. I will pack my luggage for the first time. I hope it is easy task. Best regards!